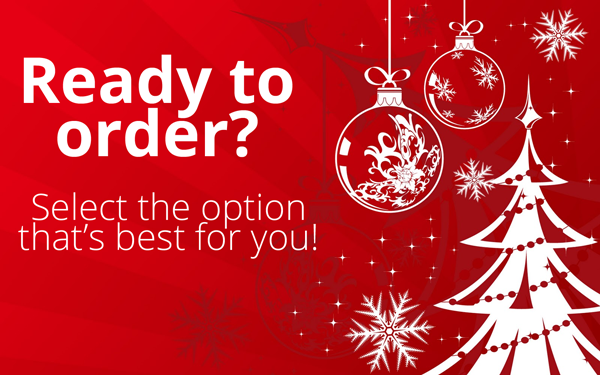 Orders due by 3PM today ! 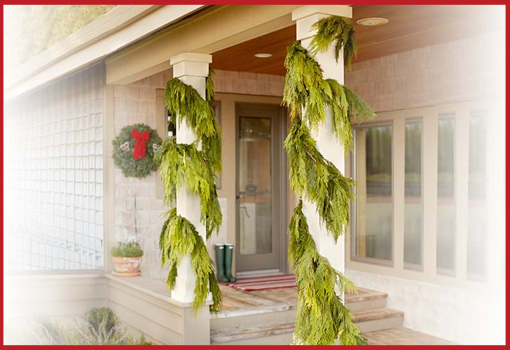 Check out our products available this year by scrolling down! Doesn't feel like Christmas yet? 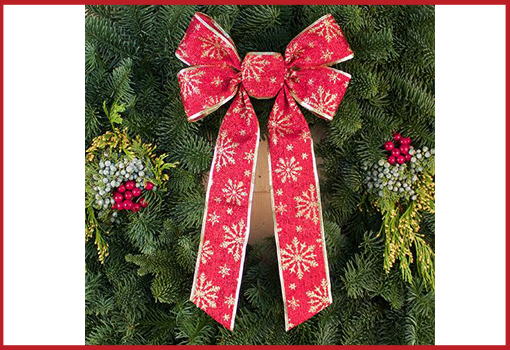 Click the play button to help get you in the Christmas spirit while you shop! 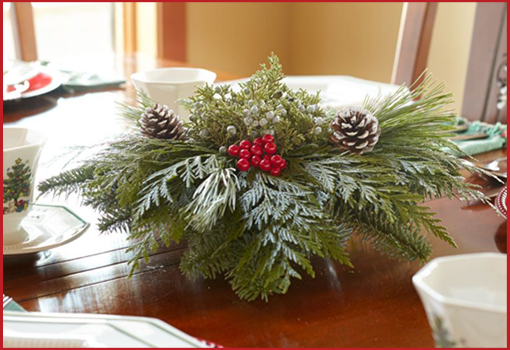 Cedar, noble fir, pine, and berried juniper arranged in an oasis block and bowl for your table. 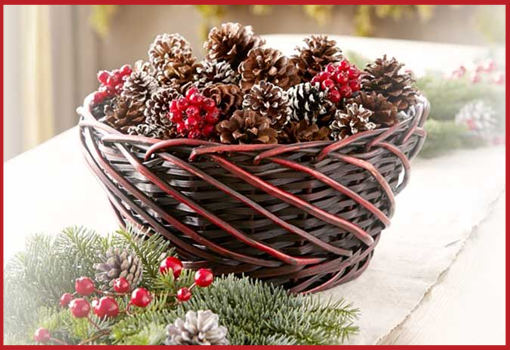 Accented by snowy white cones and red faux holly berries for easy attaching. Includes candle holder. Size is approximately 12 ̋ inches diameter. * NEW * Our exclusive hand-blown holiday votive set will delight any table or entryway. 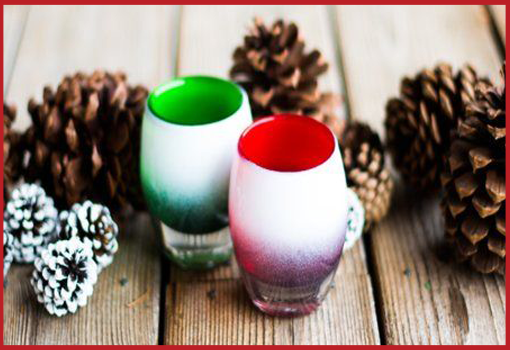 Each set includes two hand-blown glass votive candle holders; one red and one green, both with white flocking. Measuring 3.5” each, this set will be the perfect addition to your holiday collection. 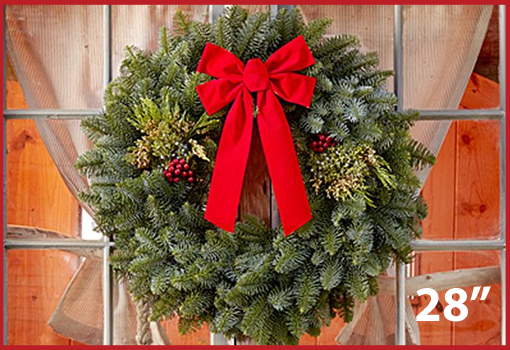 Newly designed for guaranteed sustainability and quality, this item is the perfect alternative to a wreath. 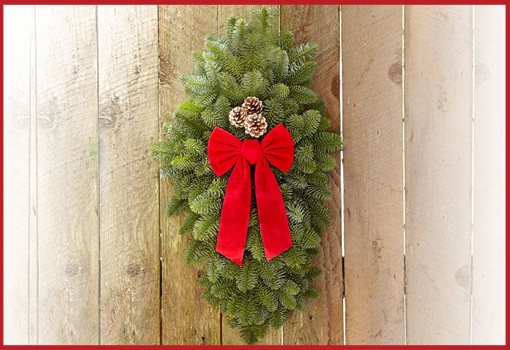 It is made from our hearty Noble Fir and includes one set of snow dusted cones and a red bow. Approximately 30″ x 19”. 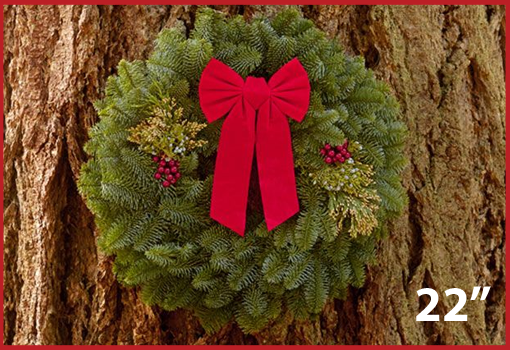 An aromatic combination of noble fir, berried juniper, and incense cedar. Touches of color provided by red faux holly berries. A red velvet water repellent bow is included for easy attaching. 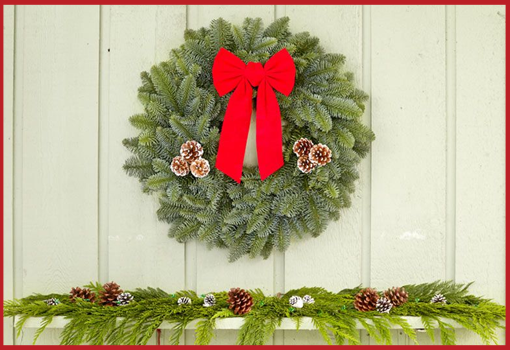 Hand-made, wrapped with twine, and finished with a charming miniature wreath, this reindeer set is a wonderful addition for your home or others this holiday season. 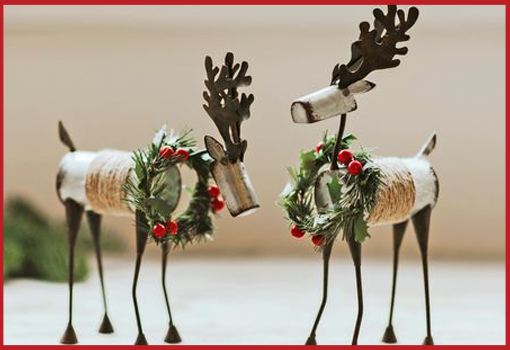 Set includes two metal reindeer. We are no longer accepting orders at this time. If you placed an order, you can expect to receive a notice from us right after Thanksgiving. If you had your items sent directly, they should arrive around that same time as well. Thanks for your supoort of OFC!